If you’ve spent any time at business networking events (I’ve done over 1000) then you’ve no doubt heard of the “Meet-Like-Know-Trust” expression. Simply, this is the process often talked about in networking where you progress from meeting someone for the first time, to trusting them enough to either want to buy from them, or pass referrals to them. There is a common misconception that this means that, somewhere along the way, you have to make sure that everyone “likes” you. I know this troubles people because it is such a huge expectation. Nobody is universally “liked” and to try to be liked by everyone is exhausting (trust me, I spent far too long trying before I realised the fallacy in that approach). More to the point, trying to be “liked” by everyone involves trying to be all things to all people, and that isn’t who you are. 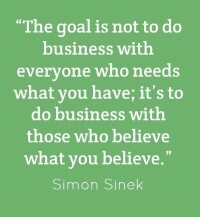 Simon Sinek, the author of the Amazon bestseller Start with why, sums it up much more succinctly than me when he says “The goal is not to do business with everyone who needs what you have, it’s to do business with those who believe what you believe” (you can see the whole of that Ted talk here – Simon Sinek: How great leaders inspire action). 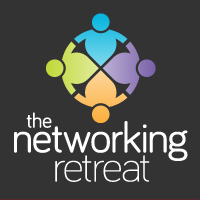 Networking, I believe, gives you a massive opportunity to identify those people who believe what you believe and who are more likely to become your clients, and then, having established the Meet & Like part of the process, you move onto the Know and the Trust. This is so much less effort than constantly trying to get people to “like” you, preventing you from moving on. Notice those people who always come to the networking event you are speaking at, notice those people who always take the time to like and comment on your blogs, articles and social media output. Those are the people who are demonstrating that they already “like” you. There is another reason this is so important in networking. The chances are, you won’t be the only person who does what you do. Your network of contacts will know someone else, and in all likelihood, lots of people, who offer exactly the same, or very similar services to you. If you want to build your market share using networking, it sounds counter intuitive, but you shouldn’t try to appeal to everyone. Appeal to the people who really get you, and the way you work, and then deliver massive value to them. Those people will become your biggest advocates and recommend and refer you to others along the way. PS. I do understand that some of you sell things rather than services and, if you’re lucky enough to have an internet business, whether people “like” you or not is less important. PPS. I guess this leads to another conversation about whether it should be “Meet – Like – Know – Trust”, or “Meet – Respect – Know – Trust”. That’s certainly one for another article.